Under the Articles of Confederation and later the Constitution, land not included within the boundaries of the original thirteen states became public domain, owned and administered by the national government. Congress provided for surveying and selling public lands in the Land Ordinance of 1785. This law established the rectangular system of survey, which divided land into townships six miles square, sections a mile square containing 640 acres, and quarter sections of 160 acres. 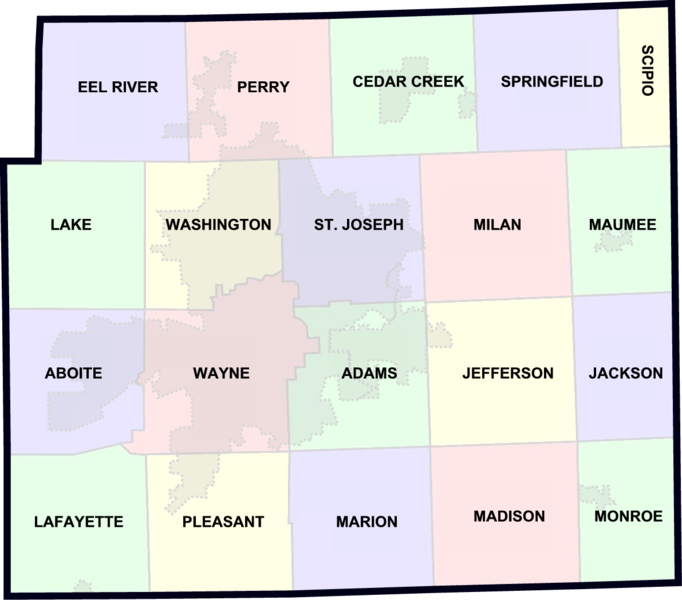 A unit of government found primarily in the northeast and north central United States; it is a subdivision of a county and is usually 36 square miles (about 93 square kilometer) in area. The term civil township is sometimes used to distinguish it from the congressional, or survey, township of six miles by six miles, which is not a unit of government. In some states a township meeting, patterned after the New England town meeting, levies township taxes, makes appropriations, enacts bylaws, and serves in general as the policy-determining organ of the township. A township board, either elected or ex officio, ordinarily appoints certain officers and performs other administrative duties. If there is no township meeting the board customarily acts as the township's policy-determining agency. In some states there is a principal administrative officer, usually known as supervisor or trustee. Other township offices commonly include those of clerk, treasurer, assessor, road commissioner, and supervisor of public assistance. Justices of the peace and constables, although they are state rather than local officers, are commonly elected from the townships. Township functions vary widely, but the major services most commonly performed are maintenance of local roads and administration of public assistance. Property assessment is a township function in some instances, and in a few states the township serves as an area for school administration.